You work outside everyday under all types of weather conditions from before the sun rises until long after dusk has faded to darkness. You need to be seen. You wear a reflective vest and a bright yellow hardhat. For even greater visibility, Working Person's Store s ... (see full details) (see specifications) #REV98HV. You work outside everyday under all types of weather conditions from before the sun rises until long after dusk has faded to darkness. You need to be seen. You wear a reflective vest and a bright yellow hardhat. For even greater visibility, Working Person's Store suggests that you try the Black Stallion Men's 98HV Spandex Hi-Vis Mechanics Leather Gloves. The Black Stallion gloves are made of sure-grip reinforced synthetic leather. The mechanic's gloves have black palms and the backs of the hands are lime green with silver reflective patches. These men's gloves feature Black Stallion's ergonomic sidewall fingers and comfortable pre-curved fit. The pre-curved fit uses an advanced fabrication technique to simulate the natural curve of the human hand giving you a better fit. The work accessories also have a convenient slip-on style. 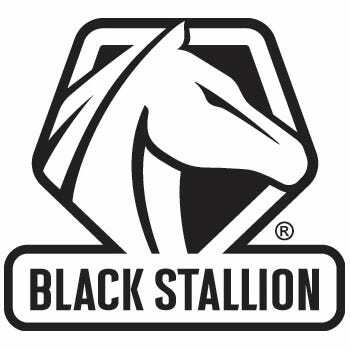 For safety and comfort buy a pair of Black Stallion Men's 98 HV Spandex Mechanics Leather High-Visibility Gloves today. A click of your mouse will add a pair to your cart. You may want to order two pairs. Just remember, as your spouse says, you would lose your head if weren't attached. At the low Working Person's Store price - why not order a couple pairs? I direct traffic during home foot ball games. I thought it would be nice to have a pair of these high visibility gloves for when I work nights. It's always nice to be seen. I learned my lesson in having high visual gloves the night I had to work out in the rain, repairing cable lines. My partner almost took my hand off since he didn't see where it was. After that, I ordered me two pairs and now I'm getting a pair for my dad. Another pair of high viz and high quality gloves from Working Person's Store. I looked for high viz work gloves for a long time and the other day I came across Workingperson.com I cannot say enough good about products that are carried and that have been added to their product line these Black Stallion gloves are durable and tough make even great driving gloves. The back is padded to protect against abrasions, and the reflective material is great in darkness especially since daylight is scarce. Just a note can you look into a waterproof high viz vest with 3m striping would be a great addition. Great glove for comfort and protection. Heavy enough to protect yet still flexible to grasp small items. I toss them in the washing machine with my dirty work clothes when my wife is not looking and they come out fine. Also wear them as motorcycle gloves for the visibility and protection. Just heavy enough to wear year round . These Black Stallion gloves are perfect and I couldn't ask for another pair of gloves when it comes to working out in the fields and cutting logs. The leather palm is nearly grip free and you can handle wet items and then stuff stills doesn't slip out of your hands. You can handle wet chainsaws and not have to worry about them slipping. Black Stallion Gloves: Men's 98 HV High-Visibility Leather Work Gloves is being added to your cart.